Well it seems that summer has flown by, and the beginning of the fall semester is nearly here. Pretty crazy, huh? Having been a Highschool grad and now studying as a college sophomore, I know that exciting and nervous feeling that we all get around this time of year when it comes time to plan for the next school year. Moms, veterans and first-time-homeschooling moms alike, I know it can be nerve-racking and at most daunting to take on the planning of your child’s schooling. But guess what? I’m here specifically to help you make that transition from those long, lazy summer months into a more rigorous school schedule. Below I’ve compiled a list of goodies to get you started right on your homeschool schedule. 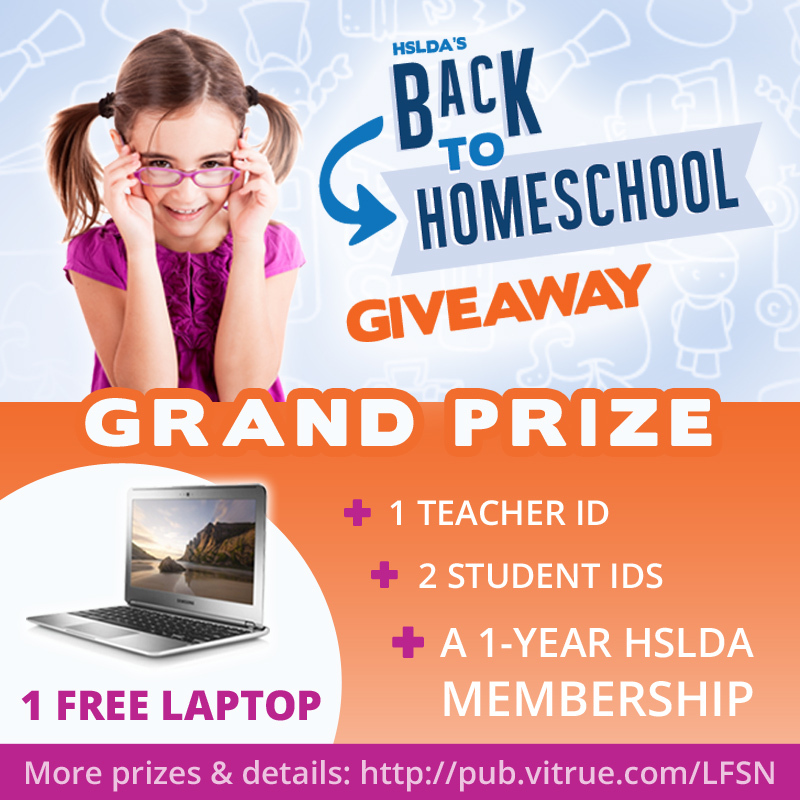 Plus, I’m also providing you with all the details about HSLDA’S Back to Homeschool Giveaway! We all know getting to homeschooling can be a hassle, so why not try some of these quick no-hassle recipes to get you and your kids energized and excited for the new school year! Here are a few tips and helpful pointers to get you started off right! –How Can I Possibly Teach High School Courses? –What Factors Do Colleges Use for Admission? Fun crafts to begin the school year! Calling all homeschooling families: You could win a free laptop . . . and more! Whether you are eager to dive into studies or still savoring every last moment of summer fun, HSLDA’s giveaway offers something for everyone to get excited about. Don’t miss your chance to win asome really great prizes! Enter HERE and don’t forget to share with your friends! May the Lord bless you as you embark on this next school year! ← CLOSED | GIVEAWAY – Celebrating America!